"Charles Darwin knew there was a significant event in the history of life that his theory did not explain. In what is know today as the " Cambrian explosion," many animals suddenly appeared in the fossil record 530 million years ago without apparent ancestors in earlier years of rock. 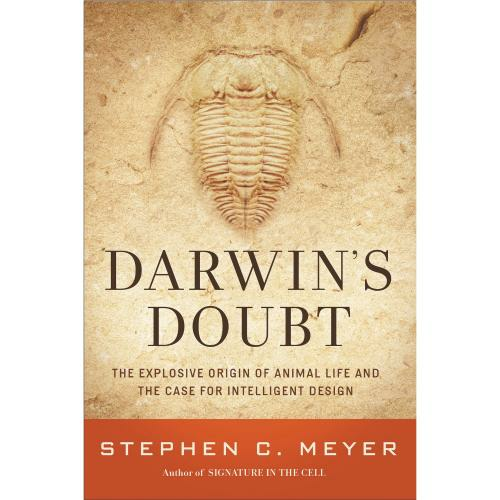 In Darwin's Doubt, Stephen C. Meyer tells the story of the mystery surrounding this explosion of animal life and makes a compelling case for the theory of intelligent design as the best explanation for the origin of the Cambrian animals and the biological information necessary to produce them." Trilobites are complex, elaborately segmented forms with jointed appendages and swimmerets, antennae, compound eyes, and cephalized, or head-to-tail, nervous systems. Lazarus species raise questions about how the geologic column formed. They are one good reason that we should be thinking about mechanisms other than deep time to account for the order we observe in the fossil record.